About two weeks ago now, I received an email in my inbox and, after reading it, I wasn’t really sure if it was a joke or not. 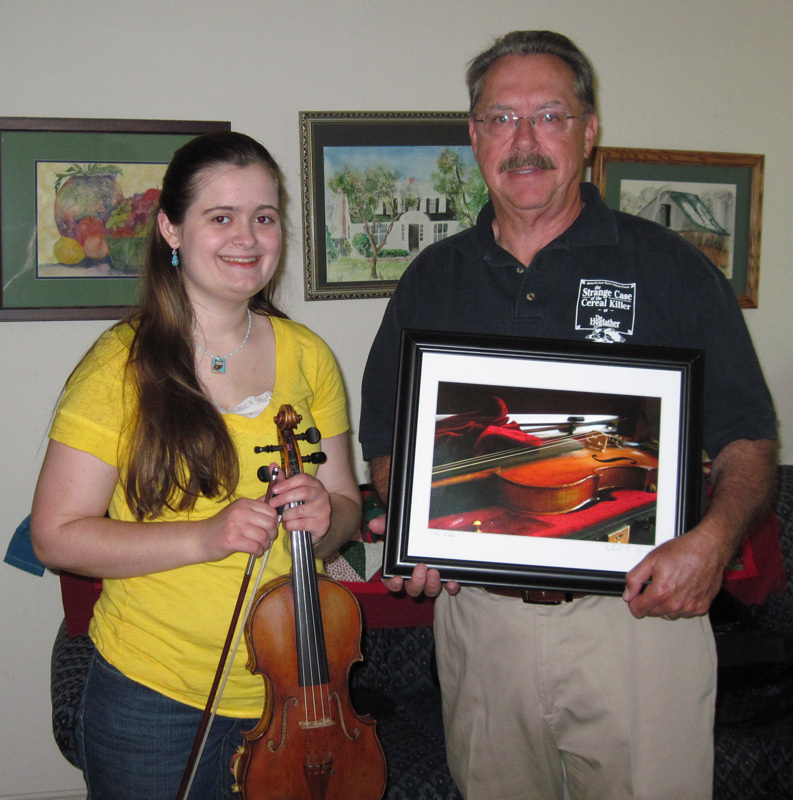 A gentleman named John was wanting one of my prints, “The Fiddle,” matted and framed. He needed the entire thing within four days to give it to his violin teacher, who was very special to him, and who happened to also be… wait for it… wait for it… graduating from high school? That’s right! John, being a bit older than your average violin student, was looking for someone to teach him this instrument in the Peoria area when he came across Courtney, a classically trained violinist, and asked her to teach him. These two have developed a special bond, and while John says he won’t be playing with the symphony any time soon, he has learned a lot and is happy with where he is as a student. Well, Courtney is off to college soon as she graduated high school this year and John wanted to give her a special gift that she could put in the dorms and remember why she loves music and hopefully a good memory or two of her friend and former student. John saw my image after grabbing my business card at one of the art markets I was at and requested the print. I was touched (I have a soft spot for teachers; trust me, I cry every time I see the final scene in Mr. Holland’s Opus) so I was able to get everything arranged and John’s wife, Kathy, picked up the print from my office. My only request was that John snap a few images of him and Courtney and pass them my way to share with all of you along with this story. It’s little things like these that remind me why I love being a photographer. So how about you? Any of my photographer friends out there have a special client story to share? Please leave a comment below; I’d love to hear what you have to say!